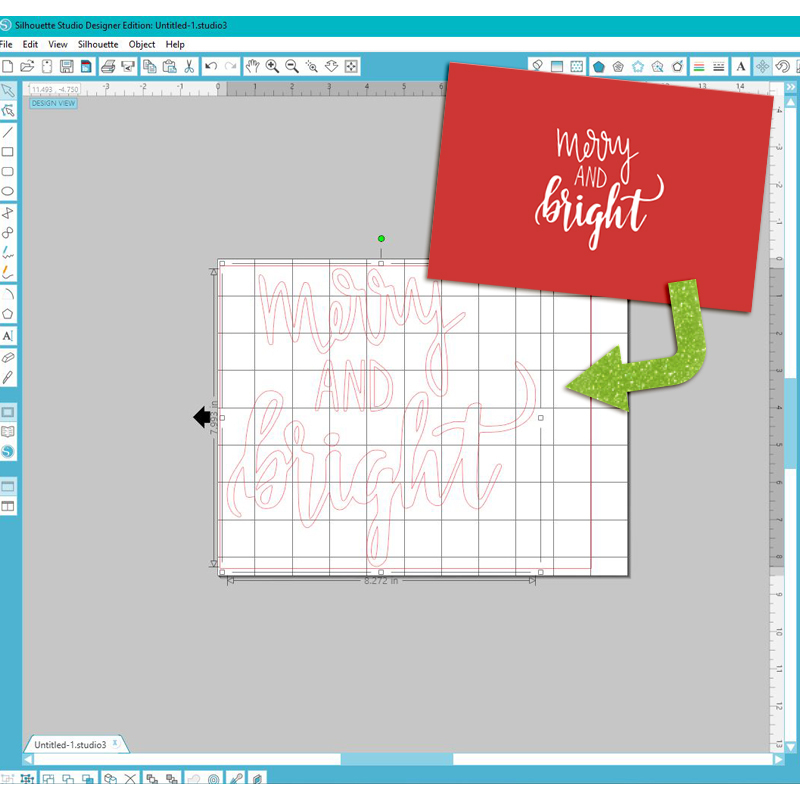 Welcome to Day Two of our annual 10 Holiday Tips & Tricks series here on The Digital Press blog! The holiday season is normally my favorite time of year, but especially for crafting & baking! But just like everyone else this time of year — extra time is short! These tips & tricks are great ways to utilize limited time to your advantage. 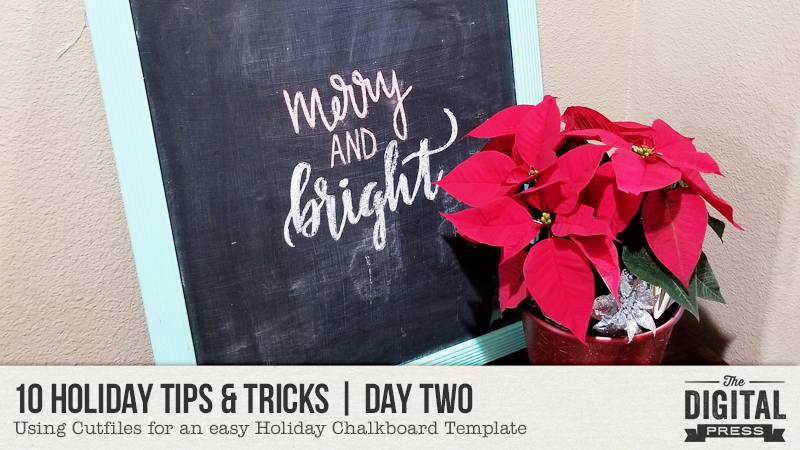 Today I’m here to share a fun chalkboard art tip for your holiday decor. I have a large chalkboard which is actually an old framed picture that I picked up at a garage sale (I jazzed up the frame with spare paint & the glass with chalkboard paint a few years back!) It’s a staple in all of my holiday decor, as it can easily be updated. 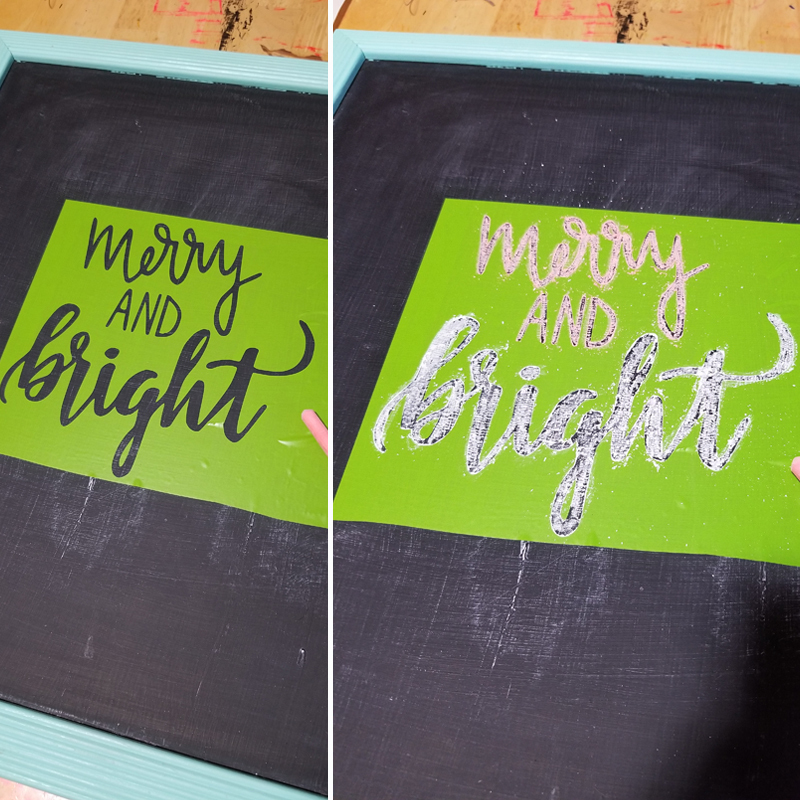 I love all the fun chalkboard ideas on Pinterest… but man, I just do not like my handwriting, let alone in chalk! 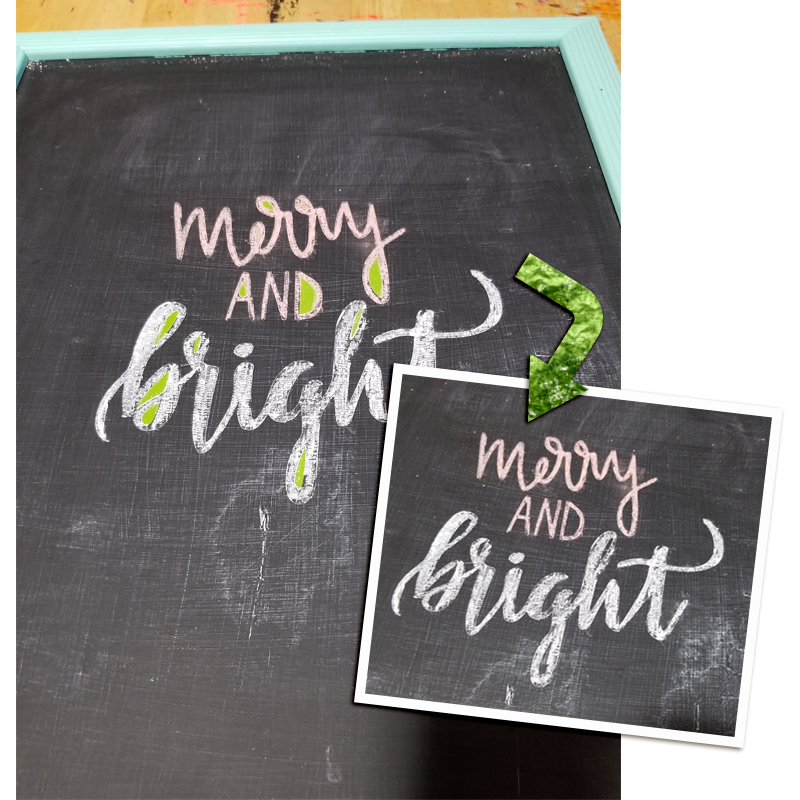 Therefore, I like to use the fun cut files or digital supplies that all our talented digital designers create to help me update my chalkboard! I brought the card into my Silhouette program & traced the card to get cut lines. I typically use a piece of scrap vinyl, as the color doesn’t matter for my final project- it’s just a template! Alternatively, you could print the card on cardstock or some thicker material & then cut out the words. After my vinyl was cut, I weeded out the words — careful to leave the inside portions of the letters. I added some transfer material so that those inside portions would peel off with my vinyl. After carefully peeling up the vinyl, there will be some chalk dust — just blow it away. Then I finally weeded out the inside of the letters… & voila! The usual spot for my chalkboard is on our entry bench! 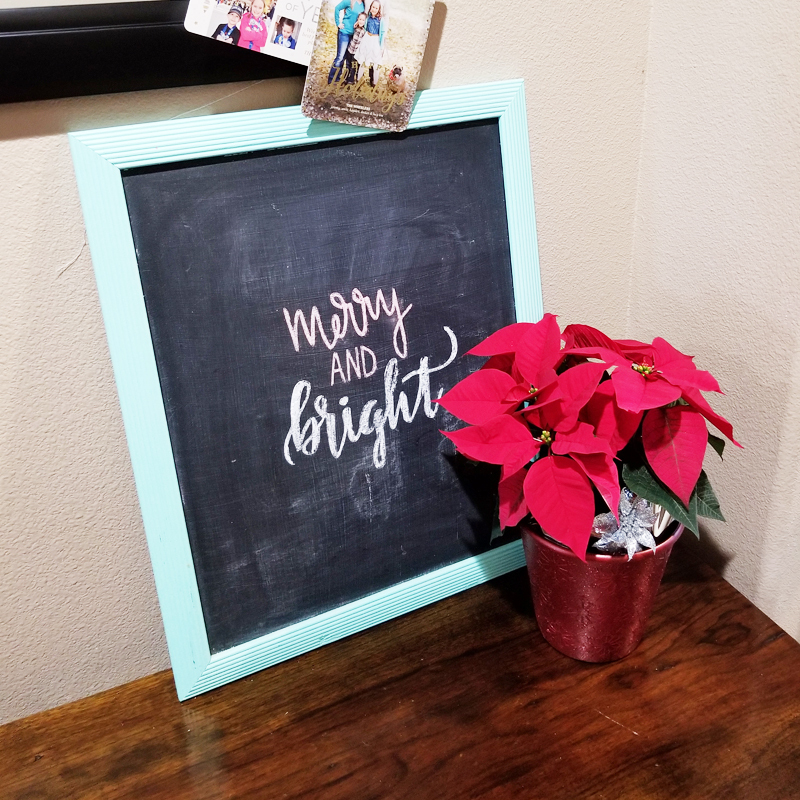 It goes perfectly with my $1 Poinsettia I picked up on Black Friday! 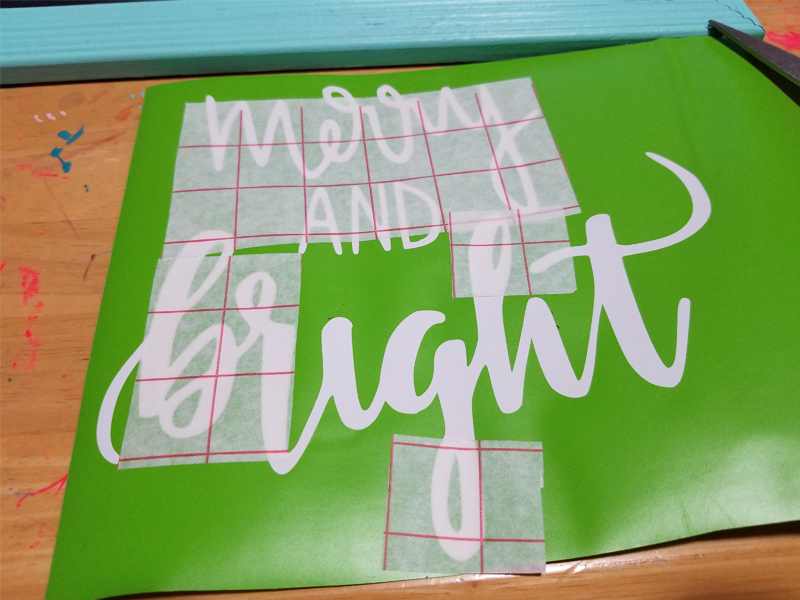 This project took me less than 30 mins (and that time included pulling my Silhouette & supplies all out from the cupboard! ).